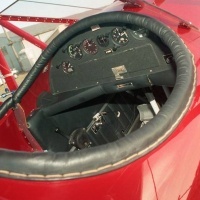 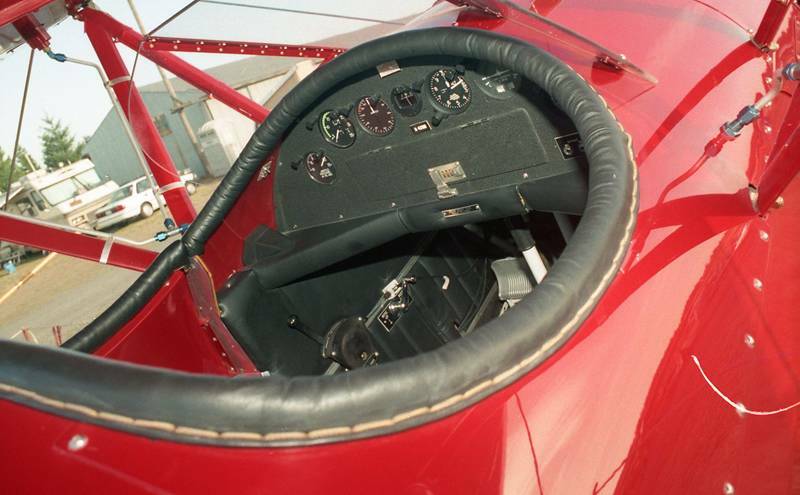 Originally produced between 1934-1935 by the WACO Aircraft Company of Troy, Ohio, the WACO YMF-5 has been regarded as the finest open cockpit sport biplane ever built. 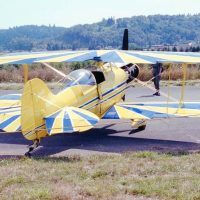 With its clean lines showing off its classic biplane shape and its powerful 275 HP radial engine, this current production American built 3 person luxury biplane captures the essence of what flying is all about: Magic, Beauty, Adventure and Romance. 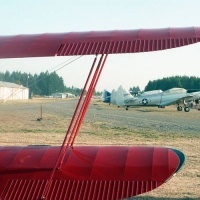 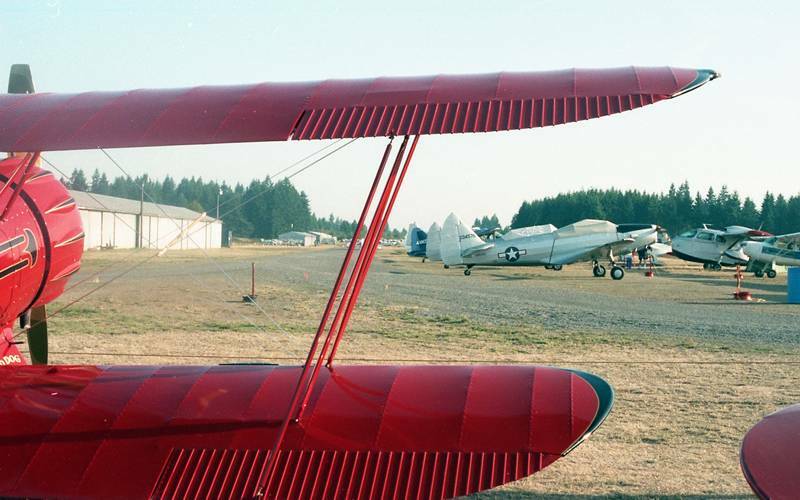 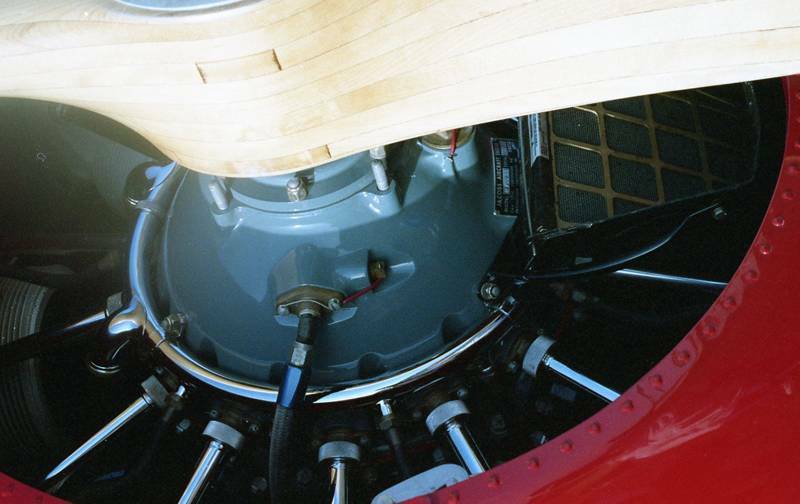 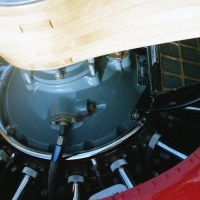 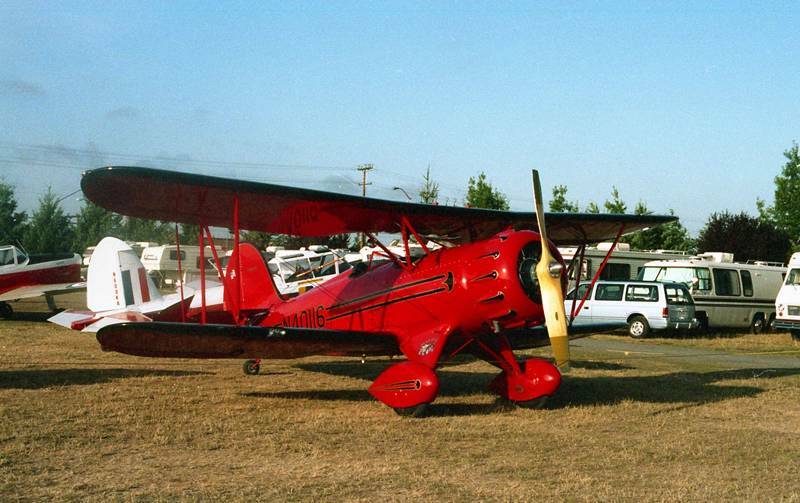 Production of the WACO YMF was re-established in 1986 by the Classic Aircraft Corp in Lansing, MI, many updated features were integrated into the design without taking away from the original heart and soul of the aircraft. 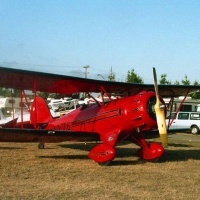 N40116 s/n F5-024 – Red and black with gold trim, “Mad Dog”, complete walk around, gear, wheel pants, surface detail, and cockpit.